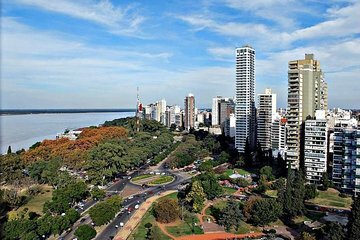 Explore Argentina’s third-largest metropolis on a private walking tour of Rosario, an important trading city built on the banks of the Paraná River. See historic colonial buildings, admire urban murals, and stroll through leafy parks and squares while hearing the stories behind the landmarks. Learn about famous former residents like Lionel Messi and Che Guevara, passing the childhood home of the 1970s revolutionary on your personalized tour. This tour can be done in English, French, Spanish or Portuguese; simply indicate this at the time of booking.